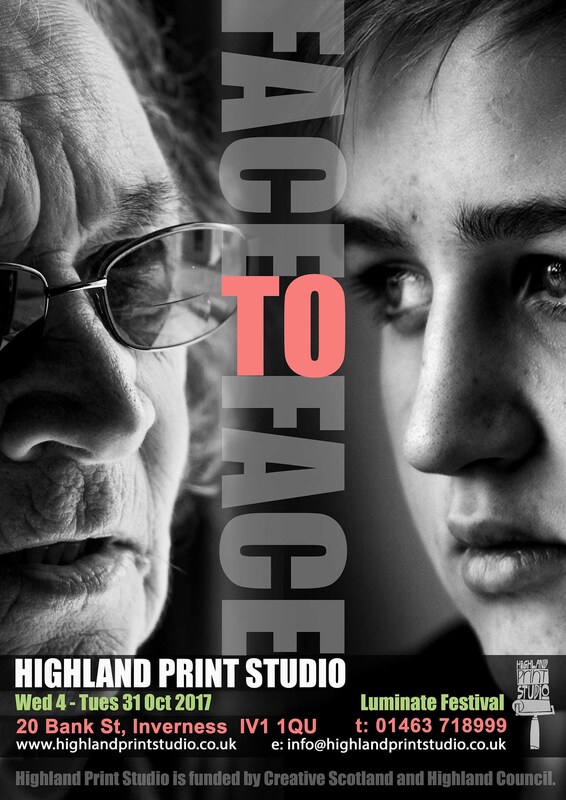 Our latest exhibition ‘Face to Face’, showing as part of Luminate: Scotland’s creative ageing festival, is now on display in the Studio until Tues 31 Oct (Tues-Sat), free entry. Young people involved in this project have been working with people with dementia in their local community in Ross-shire Fortrose Academy Black Isle Youth Development Alzheimer Scotland – Ross-shire Alzheimer Scotland. Our Studio Manager John McNaught taught the young people both film and digital photography, focussing on portraiture. We think you’ll agree the portraits they’ve taken both of themselves and the people from their local community are stunning. Please pop in for a look.